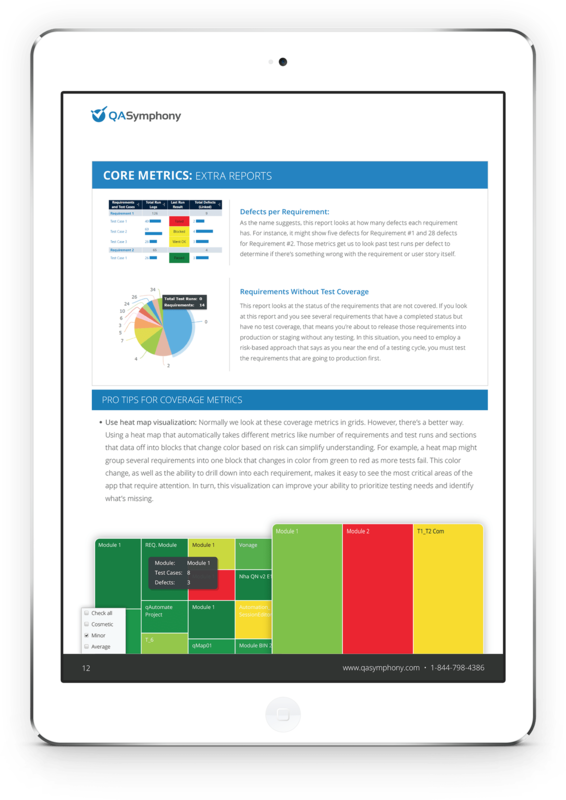 With so much information and so many possible combinations of metrics and reports to track, it is easy to get overwhelmed while trying to make sense of it all. But don’t let data overload stop you from using analytics to improve your software testing effectiveness. Fill out the form below and you’ll be directed to your download. How Do I Know I Need Better Metrics? Does it seem like you spend all your time staring at spreadsheets? Is your data often incorrect or inconsistent because you’re constantly pulling in from different number sources? Are you unable to answer simple questions related to testing metrics? Are you unable to get any real actionable insight from your reporting? If you answered ‘yes’ to one or more of these questions, get your free guide now by completing the form to the right!